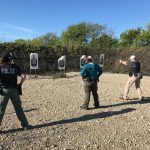 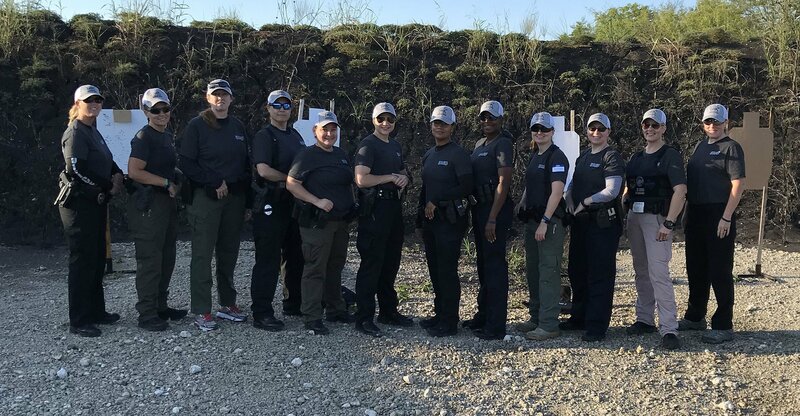 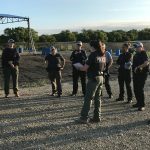 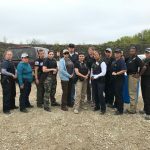 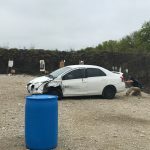 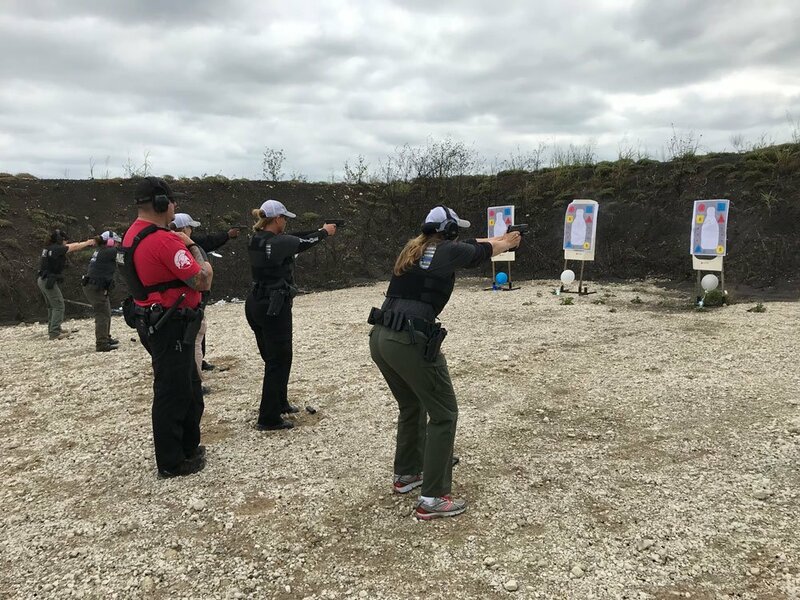 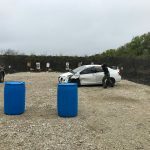 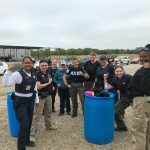 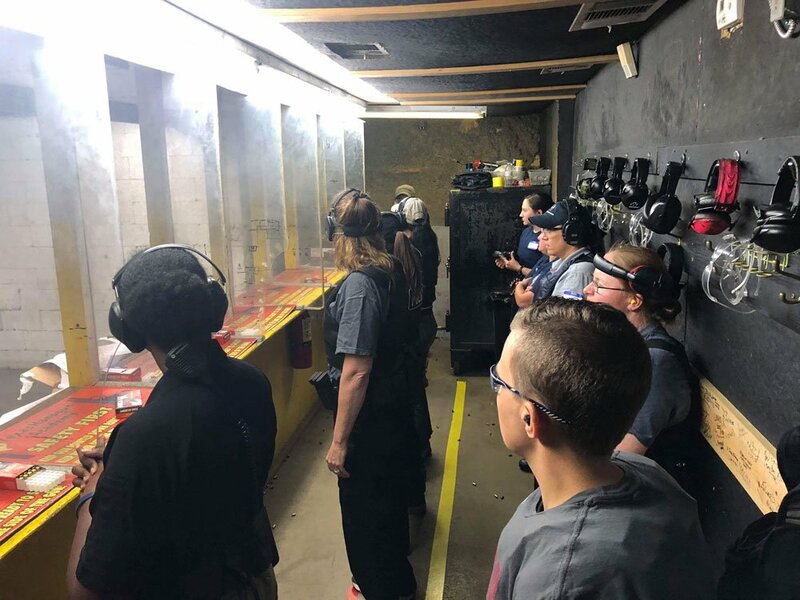 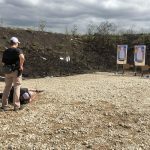 AUSTIN — A Girl & A Gun Women’s Shooting League (AG & AG) hosted eleven law enforcement officers for the 2nd Annual ‘Back the Women in Blue’ Presented by GLOCK. 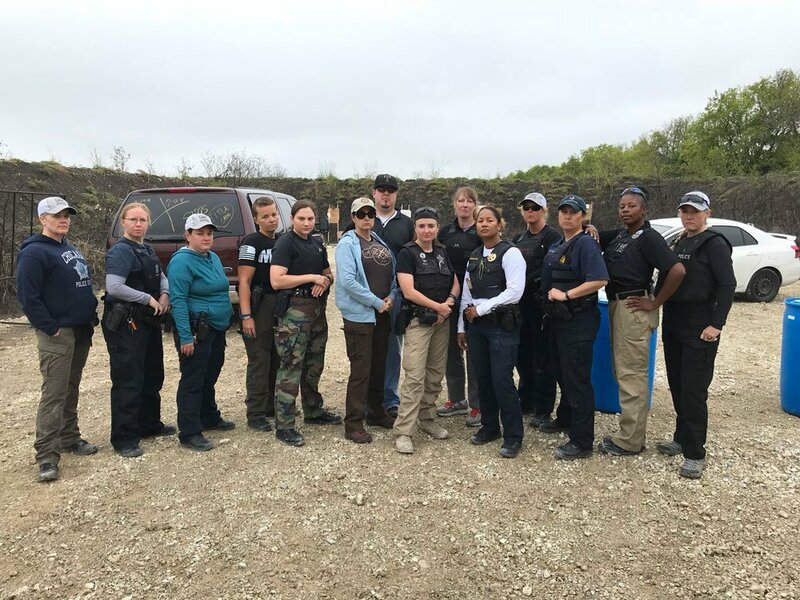 The event took place Sept 25-28, 2018, in north Texas at the Texas Handgun Academy in Dallas and Mission 160 Range in Whitewright. 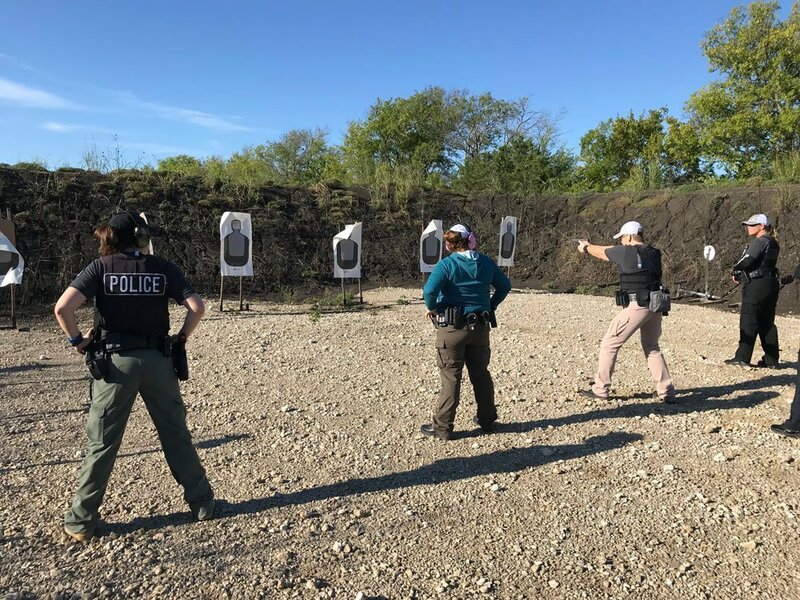 Participants included female officers, deputies, constables, and troopers representing large municipalities, rural counties, and state agencies from five different states. 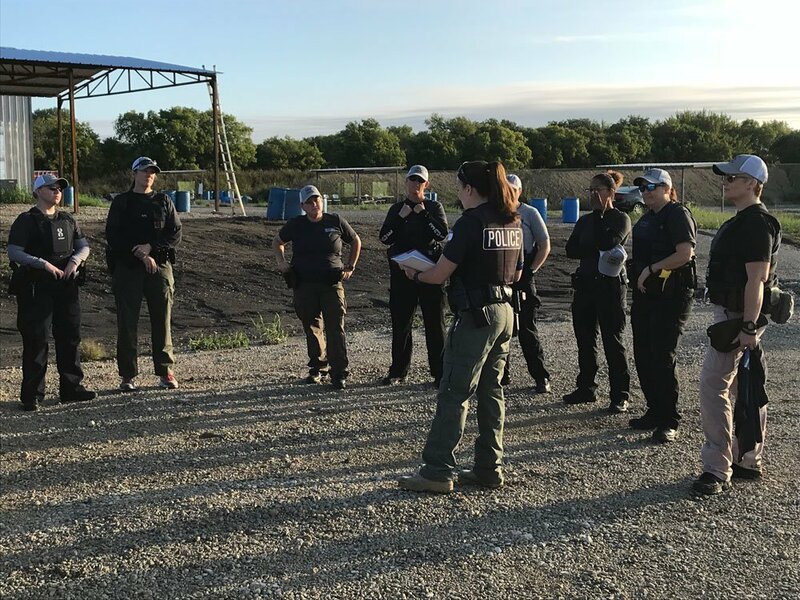 Training included behavioral analysis, body language cues and pre-attack indicators, communication skills, team building, situational decision-making skills, and advanced firearms skills. 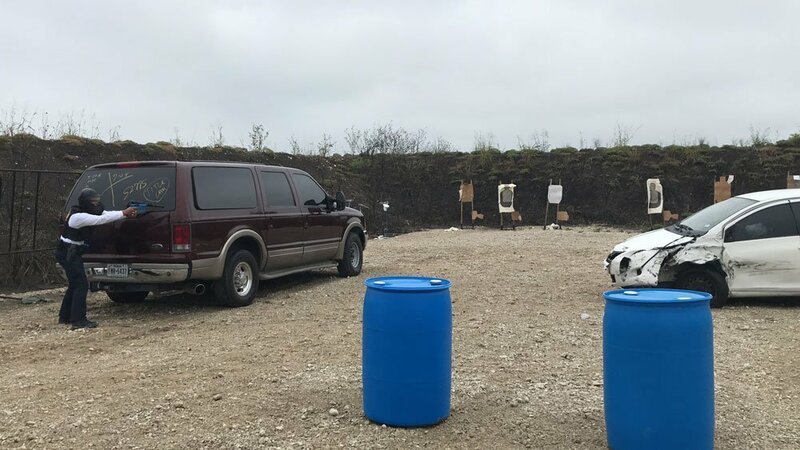 Range time culminated with Simunitions scenarios to allow officers put their training into practice. 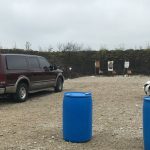 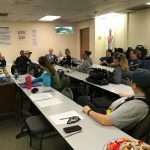 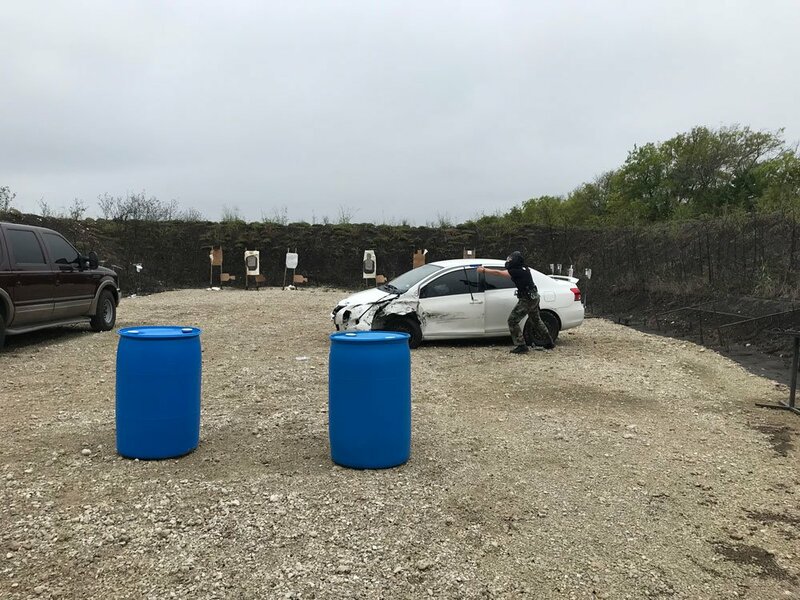 With significant support from GLOCK, ammunition provided by Federal Premium, targets provided by Action Target, and scenario cars provided by Beard’s Towing, AG & AG was able to provide the the training materials, range fees, hotel, and all meals for the officers. 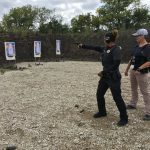 Lead instructor Heather Eckert is the owner of E4Defense, which sponsored training for the event. 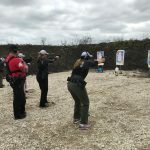 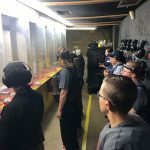 Heather holds multiple certifications, including Master Firearms Instructor in Shotgun, Patrol Rifle, and Handgun; RBT/Force on Force; and Specialty Training Certifications. 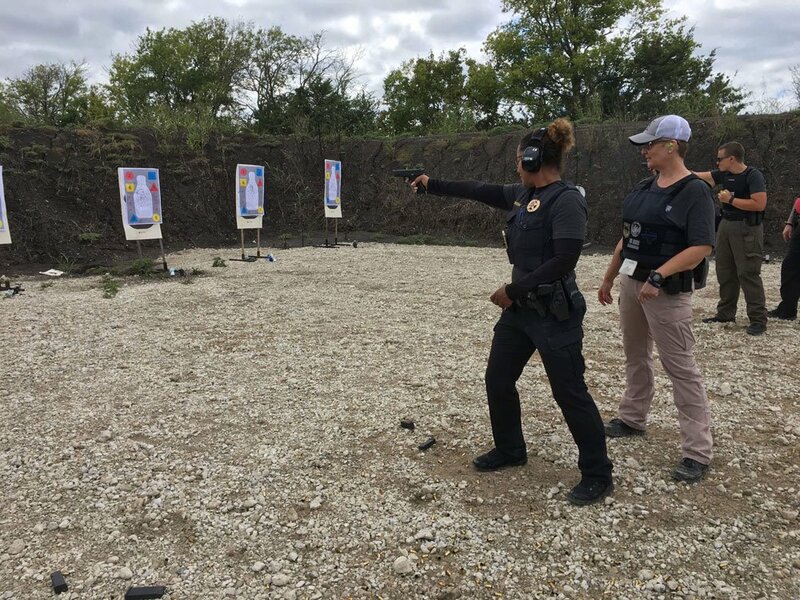 She is an active member of ILEETA, IALEFI, and IAWP, and is a Texas DPS PSB Level III Instructor. 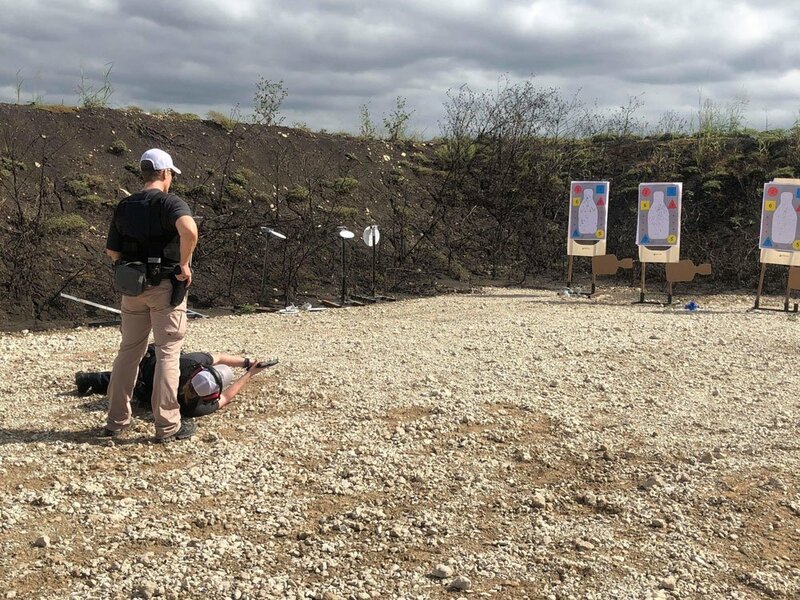 Detective Josh White is an Army Veteran, Texas Peace Officer, TCOLE Instructor, Firearms Instructor, Force on Force Instructor, and DT Instructor. 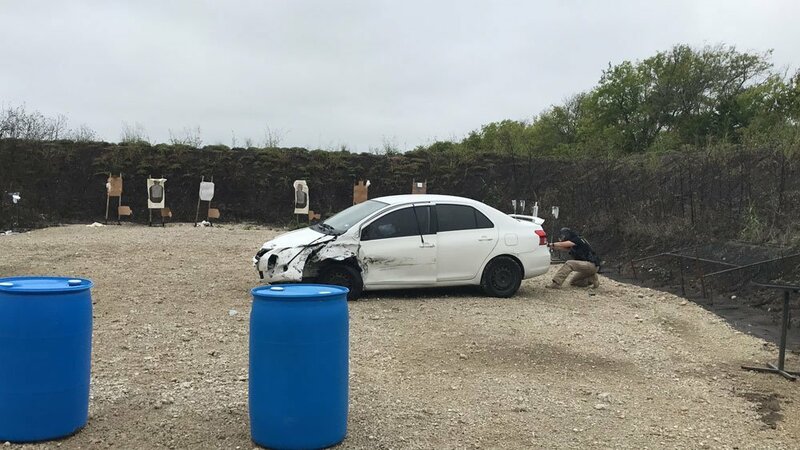 He is Double Brown belt in Shuri Ryu Karate and Blue belt in Tae Kwon Do. 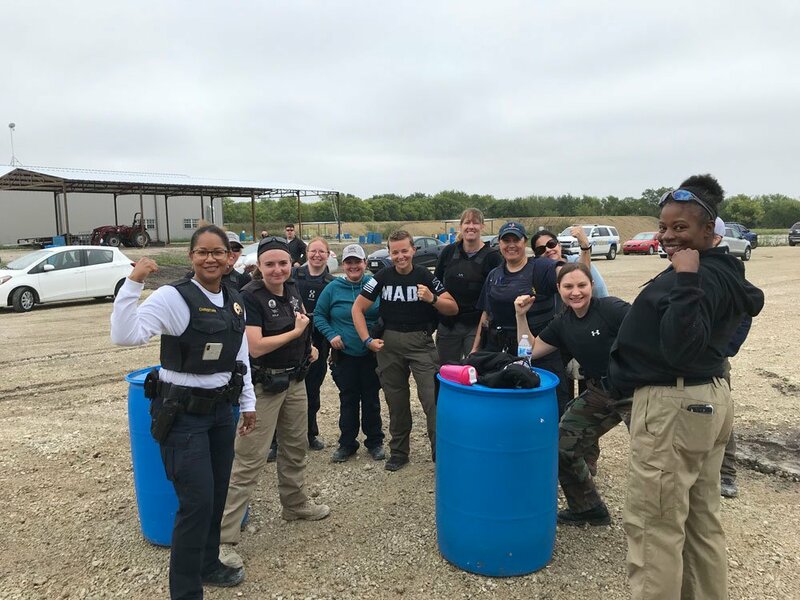 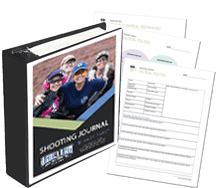 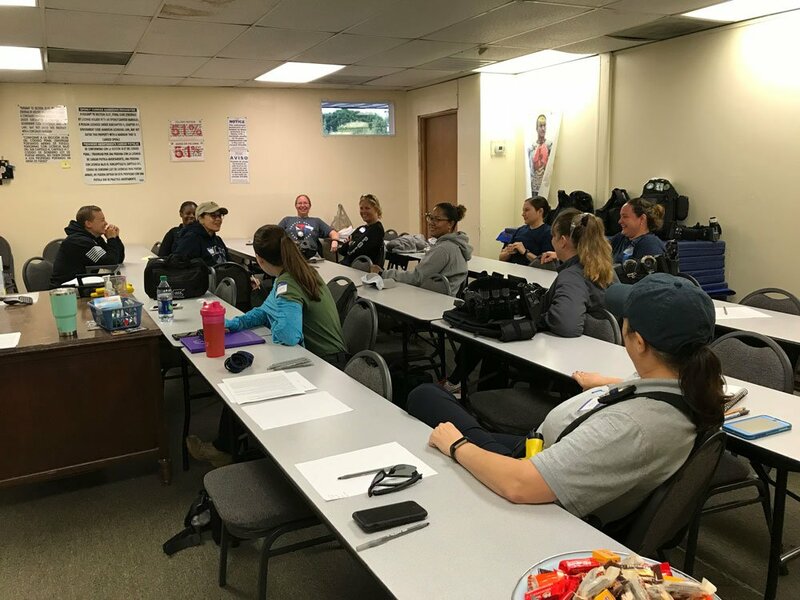 AG & AG is scheduling additional training events for female officers, as well as a training course designed specifically for wives of LEOs, whose lives face uncertain dangers due to the nature of their spouses’ careers. 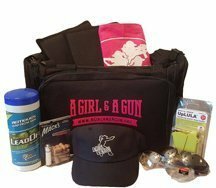 For more information, visit AGirlandAGun.org/back-the-blue.